Hola! 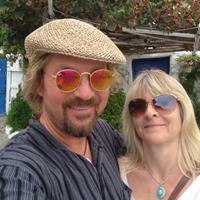 We are June & Morten from Norway, and we are in Nerja as often as we can. We love Nerja, and our house. It's our dream came true. We also enjoy sharing our house, and it means a lot to us that our guests are happy. So we are doing what we can to keep everything in good condition, and to be good "landlords"
Here is the vacation rental currently offered by Morten & June. Contact the owner for more information about this property.